April 5, 2017 – The Gemini Observatory has named Southwest Research Institute (SwRI) as prime contractor to develop OCTOCAM, a next-generation astronomical instrument to complement the 8-meter Gemini South telescope in Chile. OCTOCAM is a unique fast-multichannel imager and spectrograph, providing rapid exposures of high-resolution images and color spectra from ultraviolet to infrared wavelengths. “Using eight state-of-the-art detectors, OCTOCAM will simultaneously observe visible and invisible light spectra almost instantaneously, in tens of milliseconds,” said Dr. Peter Roming, a staff scientist at SwRI who will serve as project manager and co-principal investigator. SwRI will oversee systems engineering, providing detectors, electronics, and software development for this refrigerator-sized, ground-based apparatus. The Institute will also lead the integration and testing of the device. OCTOCAM will be an astronomical workhorse designed to operate in concert with the Large Synoptic Survey Telescope (LSST). The camera is designed to meet a range of research needs, but will be optimized to study highly energetic, very distant events such as gamma-ray bursts and supernovae. The temporal resolution of the instrument will allow scientists to observe the explosive death of stars or the formation of black holes. When installed on the Gemini South telescope in Chile, OCTOCAM will help LSST classify and study some of the thousands of transient events discovered every night. The integrated system will be particularly useful in observing the formation and evolution of stars. OCTOCAM may also be used to identify and characterize exoplanets and to study the interiors of stars using stellar oscillation analyses. It will also help researchers study the chemical evolution of galaxies and trace the history of the solar system by observing trans-Neptunian objects. 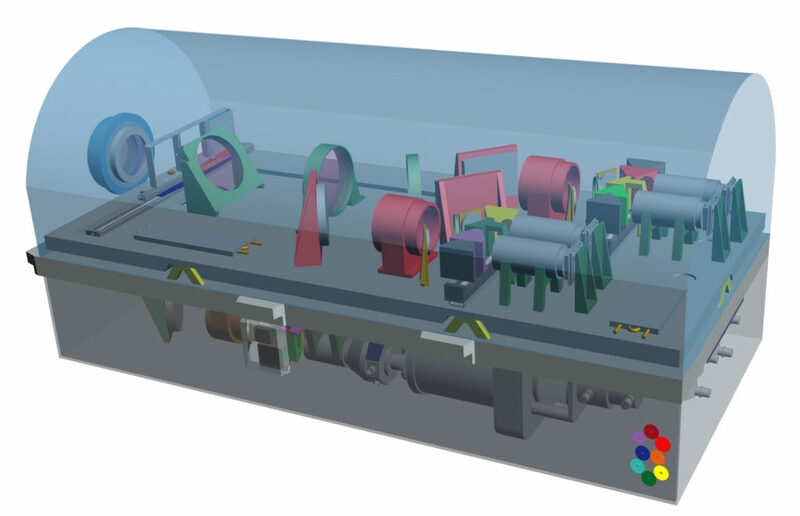 The instrument is scheduled for delivery and installation in 2022. The principal investigator of the OCTOCAM science mission is Antonio de Ugarte of Spain’s Instituto de Astrofisica de Andalucia. The Gemini Observatory consists of twin 8.1-meter diameter optical/infrared telescopes located on mountains in Hawaii and Chile. Gemini Observatory’s telescopes can collectively access the entire sky. Gemini is operated by a partnership of seven countries including the United States, the United Kingdom, Canada, Brazil, Australia, Argentina, and Chile. The observatory is managed by the Association of Universities for Research in Astronomy, Inc., under a cooperative agreement with the U.S. National Science Foundation. The NSF also serves as the executive agency for the international partnership.